Is it finally happening??? Counter-Strike creator and former Valve employee, Minh Le, has revealed that the HIGHLY anticipated game, “Half-Life 3” is currently in development. I think I almost had a stroke typing that sentence out. 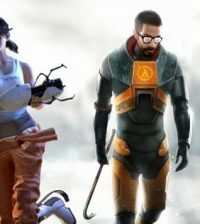 Valve has been notoriously quiet and secretive about whether “Half-Life 3” was even being planned. They have never even acknowledged the project’s existence. So, it is quiet surprising that Le would be allowed to talk about it. Last year when mention of “Half-Life 3” and “Left 4 Dead 3” were found in Valve documentation. Valve head Gabe Newell reportedly said that they were going to explore multiplayer gaming instead.